Whether you are moving house, you’ve purchased a new vehicle or you are selling an old one, vehicle shipping is an issue people across Canada need to organize. 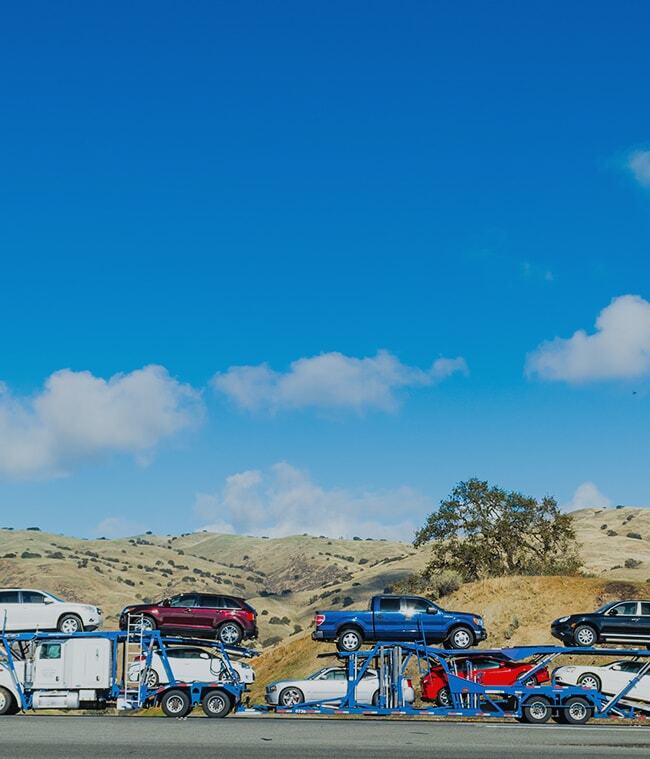 Although we all know a little bit about our vehicles, not everyone is fully aware of all the factors, options, and considerations when it comes to the transportation of these vehicles. Before shipping, you’ll need to be aware of the costs and time involved, as well as the factors influencing reliability and safety of your move. Establishing this will help the move go as smoothly as possible. What transport types are available? - Flatbed: A small truck or pickup equipped with a flatbed trailer is commonly used for auto rescue services or in the delivery of machinery. These can also be used as a method of vehicle transport and are best suited to shorter distances. As the trailer only holds 1 vehicle, the price can be somewhat higher than other methods. - Auto Carrier: These are the typical car haulers you see on highways across the country. These can hold anywhere from 4 to 12 cars and can be loaded in 90 minutes. This is the most common method used to transport cars and can yield the best prices. The main downside is that the method is open, meaning your vehicle is exposed to the elements, as well as any dirt, grit, and salt on the roads. - Enclosed Transport: In order to protect your vehicle from the elements, covered trailers can be used. These are most common for moving classic or vintage cars and are also popular with buyers of new, higher-end vehicles. While this method provides excellent security and reliability, it can be more expensive than an auto carrier. - Rail: Modern rail cargo transport can carry up to 30 vehicles. This is the cheapest method but delivery times for residential moves can be slightly longer than other methods. Rail transport is also typically between terminals, rather than direct to your door. The main factor in determining your delivery time is distance, although different carriers may offer different delivery times depending on their availability and transport type. A short haul move (e.g. within the Greater Toronto Area) could be completed within 3 days whereas a longer haul move, such as Toronto to Vancouver, could take up to 10 days. Where should I get my vehicle delivered to? If possible, getting a vehicle delivered to a major city will be cheaper. Most car transport companies also offer a choice between door to door and terminal to terminal shipping. If you choose the terminal option, you will have to deliver and collect the vehicle from one of the company’s secure yards. This is slightly more effort but can provide decent savings relative to a door to door option. What effect does my vehicle type have on transportation? First and foremost, you should ensure your vehicle runs with working brakes. If this is not the case, the company will need to make extra arrangements to load it, which will incur extra costs. The best option is to inform your chosen company beforehand. If you have a smaller vehicle, you don’t need to worry too much about the transport method you go for. However, SUV’s or pickup trucks can cost considerably more, this is because in some cases, the trailer could hold 2 regular vehicles in place of 1 larger one. If you have a classic or high-end car, enclosed transport will provide the reliability you need to prevent your car from damage during transit. Once you know the transport type and dates you want, you can weigh this up against the quality and availability of transport companies. You’ll also want to know the insurance coverage and experience of each company, as well as hear from other customers who have used the service. Shiply allows you to do all of this in a few clicks, and compare transport companies rated by other customers.